We are thrilled to announce that the beautiful Naomi and dapper Kurt tied the knot at the end of January with Naomi being our first bride for 2016. We would like to share our congratulations to the happy couple and we know you will be incredibly happy together! Naomi came to the boutique with very clear ideas about her wedding ensemble and the feel that she wanted it to have, so we were thrilled to work alongside her to create her perfect gown and accessories. 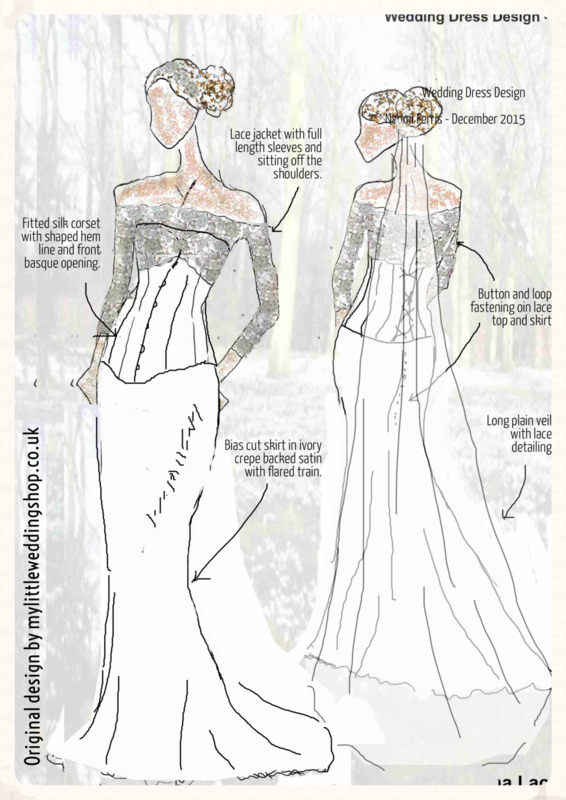 Naomis' gown was created in three pieces starting with a beautiful ivory silk corset by the very talented Sacred Realms. We then designed an elegant bias cut skirt in ivory silk crepe backed satin to create the flowing silhouette that Naomi wanted. This skirt featured an extended train that flowed from the back seam and silk covered buttons and loops. To complete the bodice, we created a stunning lace top with full length sleeves, laser cut flowers and silk covered buttons and loops finishing the back. This bodice sits just off the shoulders and the lace is embellished with silver thread and miniature clear and silver beads to add an extra sparkle. We had a wonderful time during Naomis' fittings, getting the fit just perfect and creating the detailed finishing touches. This included a cathedral length veil hand embellished with laser cut flowers designed & created by our very own Georgina while I hand beaded a bespoke hair garland in pearl, swarovski crystal and teardrop diamantes. On every visit to our boutique, we had the pleasurable company of Naomis' mother who was there through all the decision making, supporting Naomi on every step of the journey and giving them a little time together to make those memories before Naomis' big day. I think you'll agree that Naomi looks truly stunning and is the pure essence of the timeless bride. 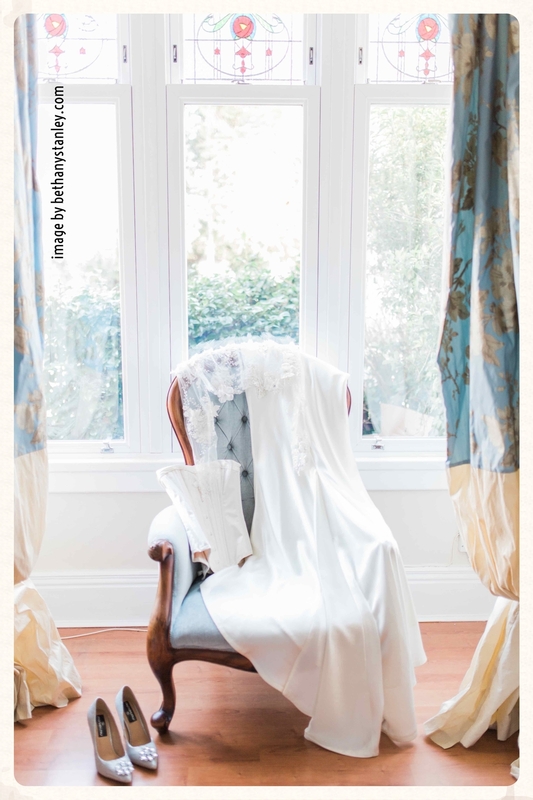 We would like to thank Bethany Stanley photography for sharing these images, Bethany was present during Naomis' fittings, capturing the process as well as the wedding itself. Bethany Stanley has a beautiful eye for capturing those perfect moments along with her talented husband and photography partner James, we can highly recommend them for capturing your special day. As always, this is not the end of our journey with Naomi & Kurt and we look forward to them popping back into the boutique and telling us all about their day and their new adventures together!